Can you believe it, we damaged the hotel taking care of ghosts and we still got paid! NO, No, we’re all perfectly safe, we’re fine. In this line of work, we’re going to get stopped to make a comment where um we might be trying to avoid legal trouble. Or its more positive, (better be, we know a fake lawyer) like an interview from perhaps like minded individuals. 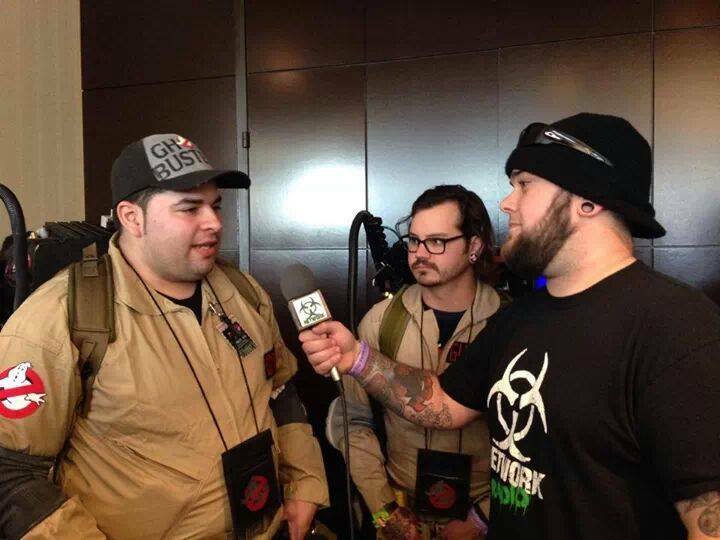 Which was the case at Monster Mania #27 when Toxic Network Radio interviewed Jeffe and Ron. Toxic Network may air the interview on Sunday, March 16, 2014, probably at night.